If the federal government delays the pay of any essential workers who stayed on their jobs this weekend, it runs the risk of a lawsuit similar to the one it just lost last year stemming from the 2013 shutdown. WASHINGTON — If the federal government delays the pay of any essential workers who stayed on their jobs this weekend, it runs the risk of another lawsuit. About 25,000 feds who worked during the 2013 shutdown successfully sued Uncle Sam for damages last year. “Although the employees were all eventually retroactively paid, it is still a violation of the Fair Labor Standards Act, the FLSA, because they were not paid on their regularly scheduled payday,” said Heidi Burakiewicz, an employment lawyer from the D.C.-based law firm Kalijarvi, Chuzi, Newman & Fitch, P.C. who represented the workers in Federal Claims Court. A judge found in favor of the workers last year, and the damages, which vary from worker to worker, are still being calculated. The 1938 Fair Labor Standards Act sets basic labor requirements, including minimum wage, overtime pay and timely compensation. “It was a violation of the FLSA for them not to get paid on time for the work they were doing during the shutdown,” said Burakiewicz. 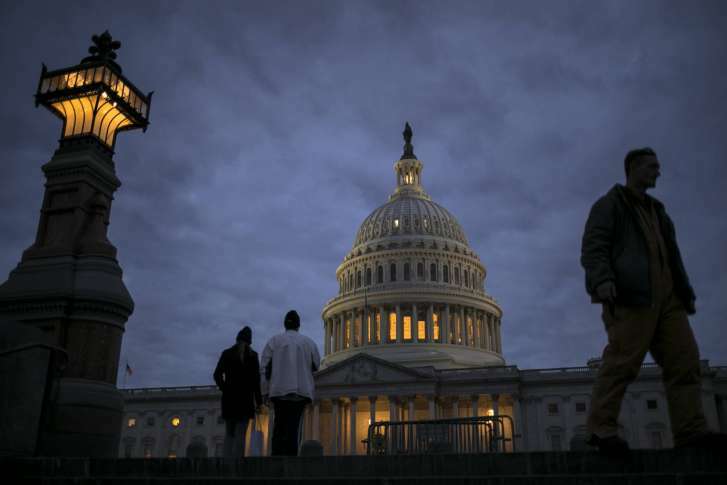 During the latest shutdown, which began at midnight Friday, federal workers who are deemed essential personnel were again ordered to report to work, with their pay to be deferred until after the government reopens. “Employees who are going to work should be able to depend on when they’re going to get their pay so that they can then take care of their own finances,” Burakiewicz said, “They’re still having to pay for gas, pay for child care, and yet they had no idea how long the shutdown would last or when they’d get their next check,” she said. It’s unclear whether any essential personnel who worked this weekend will have their pay delayed, but Burakiewicz said it’s near certain that any improper delay in pay to employees for time worked would likely draw another lawsuit.